Leeson Lodge, Dublin, Irlandia : Rezerwuj teraz! The Leeson Lodge is located on Leeson Street Bridge, an exclusive area of Dublin city close to St Stephen's Green and graciously over looks Dublin's Grand Canal on a street of Georgian Houses. It is full of character and old world charms with high decorative ceilings, old furniture and a very warm welcome for our guests. The Leeson Lodge is the annex of the Leeson Bridge House guesthouse. This lovely Bed and Breakfast is very close to St Stephen Green and all the attractions of Dublin city - concert and exhibition centres, theatres, lively pubs, restaurants and the main shopping areas of Dublin city. 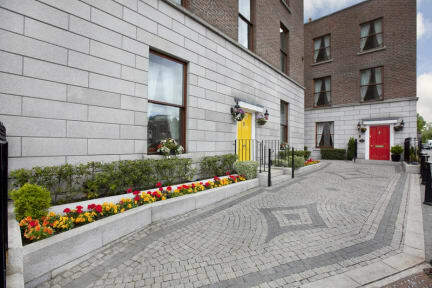 The Leeson Lodge is easily accessible to the Dublin city Airport, ferries and Train Stations by local Buses, Taxis, Luas and Dart train services with the Aircoach stopping outside our door. 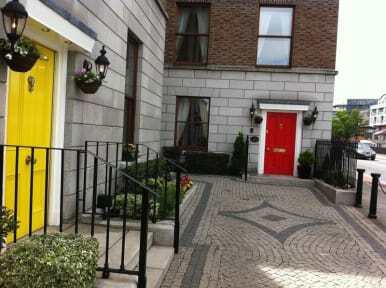 The Leeson Lodge offers guests a relaxing and stress free visit to Dublin. Hotele w Dublinie nie należą do tanich a ten hotelik może super luksusowy nie jest ale cena jest przyzwoita i warunki jak na ta cenę bardzo dobre. Ciepło , wygodne łóżko , kawa w expresie do dyspozycji, dobra lokalizacja , łazienka , kawa , herbata w pokoju.